OVO Sound is making sure their artists stay in heavy rotation this fall. 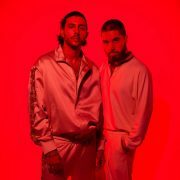 Following new projects from PARTYNEXTDOOR and dvsn, next up on the release roster for the label is the new album from Majid Jordan. Majid Al Maskati and Jordan Ullman will drop their sophomore collection, The Space Between, on October 27th. 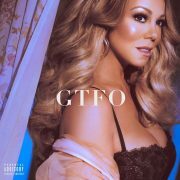 The duo already revealed the album cover, and now they've released the tracklist to whet appetites. 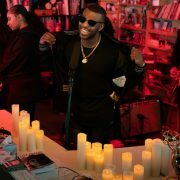 Included on The Space Between will be previously released singles "Phases," "One I Want" and "My Imagination," and the complete album will feature 13 tracks. 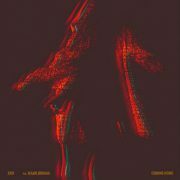 With titles such as "OG Heartthrob," "Body Talk" and "What You Do To Me," Al Maskati and Ullman have our interest piqued. 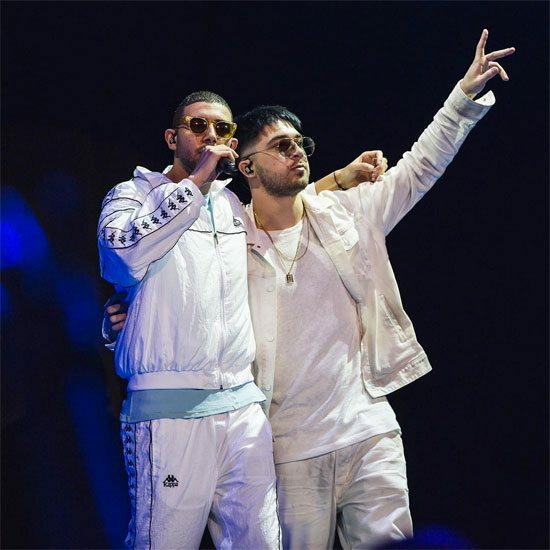 In addition to unveiling more details about their upcoming album, Majid Jordan have also announced their impending world tour. The Space Between World Tour will take the duo across North America and Europe starting in January 2018. Majid Jordan will kick off the tour in Montreal on January 16, 2018 before crisscrossing around the United States to cities such as Boston, Atlanta, Miami, Seattle, Chicago and Detroit. From there, the tour will hit Europe in March with stops in Dublin, London, Paris, Berlin and Oslo, to name a few. The tour will end on April 4, 2018 coming full circle back to Canada to the pair's hometown of Toronto for a homecoming that is sure to be lit. 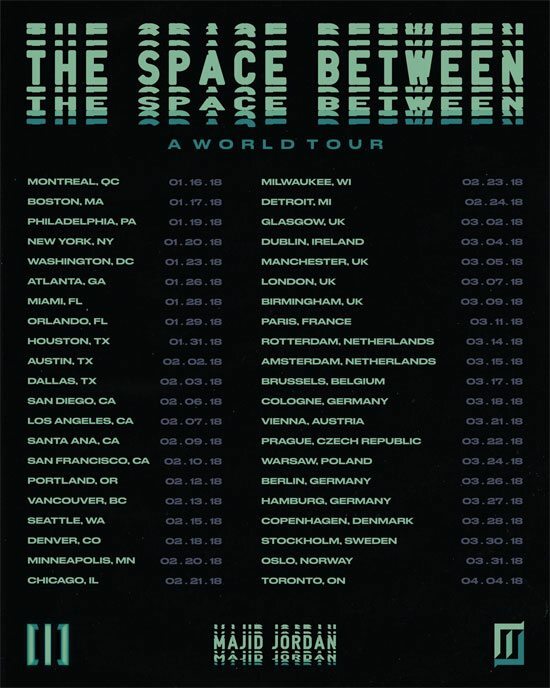 Venues and additional information is forthcoming, but tickets for The Space Between World Tour go on sale on Friday, October 20th. 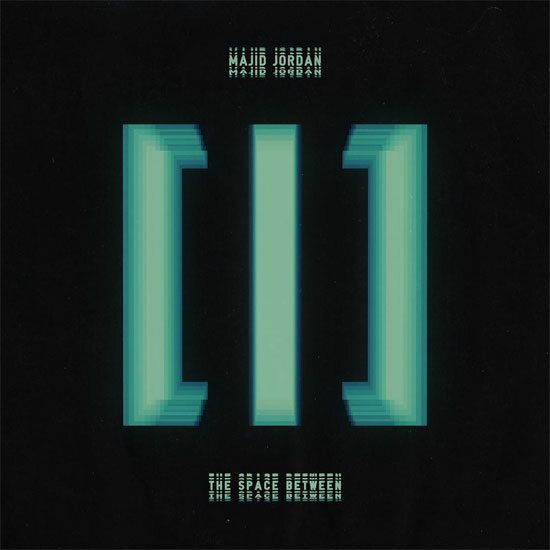 Take a look at Majid Jordan's The Space Between tracklist and The Space Between World Tour dates below, and pre-order the album from Amazon, Apple Music/iTunes and Google Play right now. 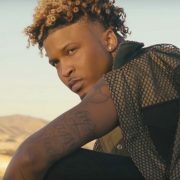 Previous: Show The Supa Lowery Brothers & Musiq Soulchild Some ‘Love’ Next: LA Bouncers: Win Tickets To See Nai Palm In Concert!